Well it’s that time of year again…school is getting out soon and you really should be thinking about an awesome end of the year teacher gift. Little Johnny was lucky to have such a wonderful teacher. But think about it, do you really want to give yet another coffee mug? Do they really need baked goods? The best thing to give a teacher is a gift card that they can use on whatever they really need. Now that you’ve decided on a gift card how can you display it for gift giving? Recycle an old gift card box (You probably have some leftover from Christmas) Gift card boxes have a center section to hold the gift card. If you don’t have one you can easily purchase one. I was lucky enough to find several for pennies at Target that were marked down. 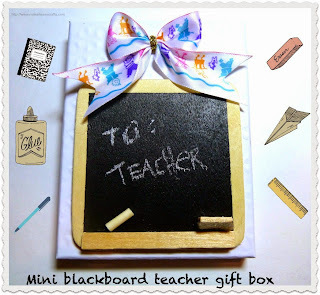 This little blackboard gift card box is so cute and easy to make. 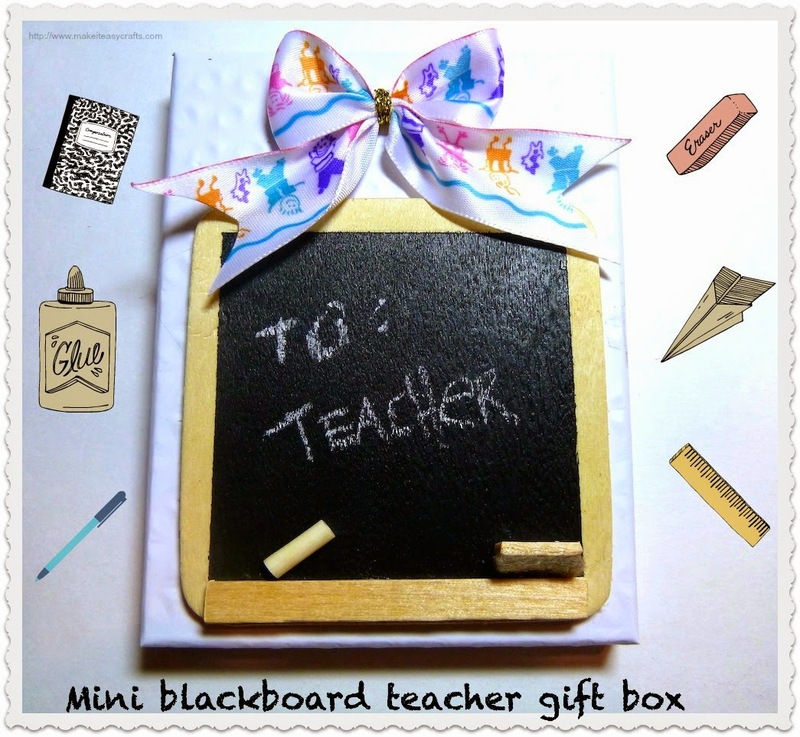 You can write to and from on the mini blackboard and even make a miniature blackboard eraser and chalk! And of course you can put on the final perfect touch with a Bowdabra bow. Visit Bowdabra for the full tutorial!